Soweto Gospel Choir in Montreal or Quebec City? Inform me about the next events for Soweto Gospel Choir. Enroll yourself to our priority waiting list for Soweto Gospel Choir to be alerted when new tickets are available. Filling this form doesn't engage you to any purchase. Soweto Gospel Choir will be onstage in Montreal soon and you would love to attend the show? Hurry, and reserve your tickets today ! 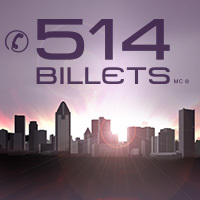 514-Tickets is a company working in ticket resale for concerts, shows and sporting events. Our team is continually on the outlook for new events at the Bell Centre, St-Denis Theatre and Étoile Banque Nationale and many more, giving you a wide variety of tickets to choose from. Each of your purchases will be sent to you via priority mail which allows simple, safe and quick delivery of your tickets. In addition,all purchases with our company are covered by our 100% Satisfaction Guarantee program. Hurry and book your tickets before they are all gone.